Every day in Sonoma County, children are removed from their homes because they have been abused, neglected, or abandoned. Through no fault of their own, these children are made dependents of the Juvenile Court and enter a world where an overburdened legal system sometimes cannot hear their voices. These youth need a CASA advocate to provide consistent and personal support as they go through months and sometimes years of legal procedures. All too often, the children are moved from one temporary placement to another, never knowing what it is to have the comfort of a permanent home. The CASA volunteer provides human contact that the youth need and the adult experience and savvy the court needs to make better decisions for them. “If it weren’t for you, school would have been harder. If it weren’t for you I would not have started school with new clothing. If it weren’t for you, I would not have had a wonderful senior year. Juvenile court officials have identified an additional 50 youth who need advocates and CASA is appealing to Sonoma County residents to volunteer. If you care and have about 10 hours a month to spend, being a CASA can be a very gratifying work. 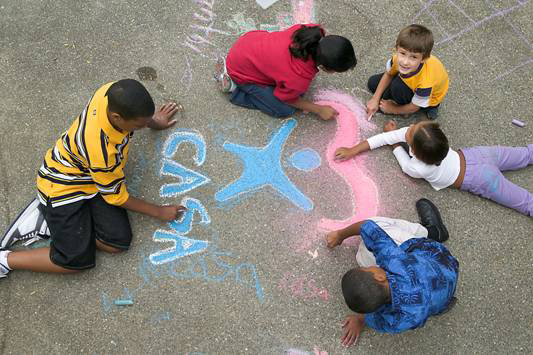 A CASA is a powerful voice in a child’s life. Executive Director, Millie Gilson, states that there are approximately 155 volunteers, and hopes to recruit another 30 with the next training. The Spring training, which takes place over three and a half days begins Thursday April 16th from 10:00-1:30, then runs from Tuesday, April 21st through Thursday, April 23rd from 8:30-5:00. Classes are held at the CASA office at the Los Guilicos complex near Oakmont in Santa Rosa. For more information and to sign up for the CASA training, contact Millie Gilson at 707-565-6375 and visit www.sonomacasa.org! Let us know what you think. And thank you for your support. My good friend Denis Loiseau was inspired to write a beautiful song through his volunteering with California CASA. He gathered friends to volunteer our time and talents to produce this true and touching story. It was an honor to be a part of this video.